Bringing home a new furry friend can be an exciting experience for everyone involved. When that furry friend has just been adopted from an animal shelter, the experience can be not only exciting, but rewarding, as well. 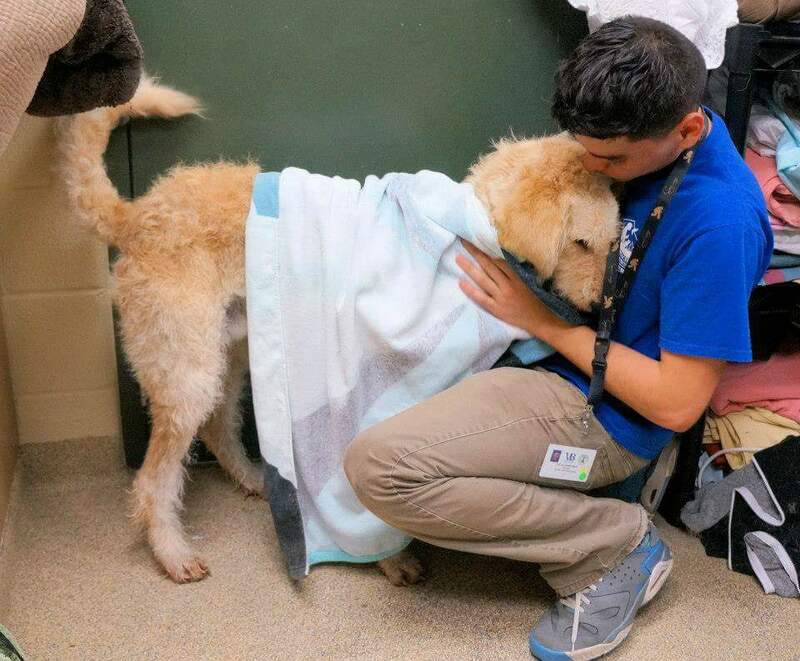 This National Animal Shelter Appreciation Week, Kailey Kestner, a third-year veterinary student at the Texas A&M College of Veterinary Medicine & Biomedical Sciences, explained why she believes adopting from an animal shelter is so important. “There are many benefits of adopting from an animal shelter, including, but not limited to, adoption fees that are typically inexpensive, a variety of animals and breeds to select from, getting a unique pet, and the satisfaction of knowing you helped an animal in need,” Kestner said. According to Kestner, the adoption process is not as long or difficult as you might think. As long as you meet the shelter’s criteria and your application is approved, you will be able to bring home a new best friend. Once you have been approved, there will typically be an adoption fee to cover the cost of vaccinations, treatments, and surgical procedures the pet may have received while at the shelter. One of the most beneficial surgical procedures that shelters provide is spaying and neutering. “One of the missions of most shelters is to reduce the number of homeless animals, so by spaying and neutering these animals, it helps ensure that they do not have litters that end up back in the shelter or on the streets,” Kestner said. If you are unable to adopt, there are still several ways to get involved with animal shelters, such as fostering, volunteering, and donating. “During times of high animal intake, the shelters are in critical need of supplies such as food, towels, kitty litter, blankets, dog toys, and much more. Also, volunteers are needed to help walk and play with the dogs to ensure that they remain socialized and adoptable,” Kestner said. Animal shelters are overflowing with loving, happy animals waiting for someone to take them home. When you adopt an animal, you are saving a life and making room within the shelter for other animals in need. If you are interested in helping animals, call or stop by your local shelter today to see how you can get involved.